Today got off to a normal start like any other “school day”. 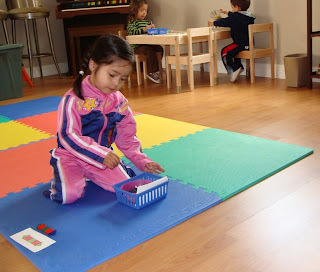 The kids had fun singing songs during rug time and eagerly started their individual work. CC worked on a geometric shapes activity, Enzo was beading with a needle, and RJ practiced pouring. 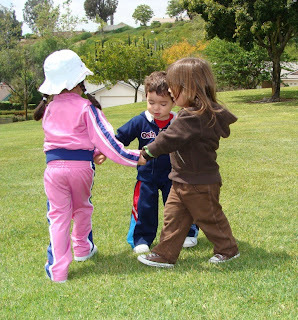 However, soon after starting their activities I noticed that the kids weren’t really in the mood for work today. 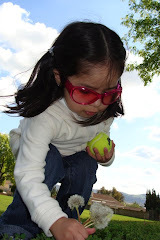 CC was getting discouraged and kept saying “I can’t” (to simple tasks that she can normally complete). RJ spilled pasta and did not want to pick it up. And Enzo quickly lost interest in the beading, which he normally patiently completes. There have been days when one of the kids is disinterested in class but with a little encouragement and extra attention those days usually work themselves out. 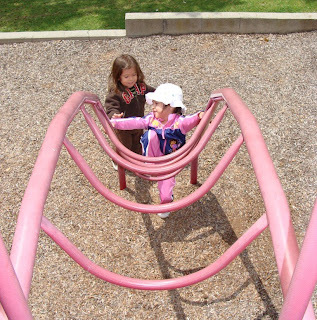 But since all three kids seemed to be in cahoots today I decided to cut our class session short and head to the park. A windy day was also a perfect opportunity for some kite flying. 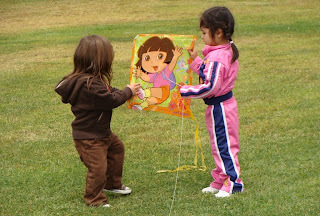 The kids had fun taking turns holding the kite, watching it fall and yelling “Fly Dora, fly”. The kids also had fun singing “Ring around the rosie”. Great job of paying attention to them! We have days like that here too! And then it is usually followed by days of really concentrating too! My name is Monica and I am the owner of Latin Baby and the Latin Baby Book Club. 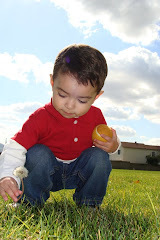 I'm looking for a few extra bloggers to contribute to the Mi Cielito Lindo blog and wondered if you were interested. If so, I can give you more information. 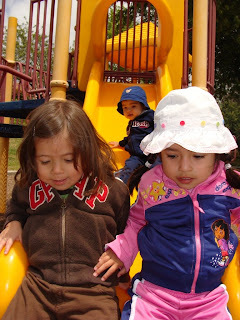 My email is admin at latinbabyusa dot com. 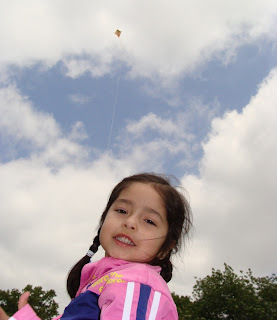 Enjoyed pics of kids at the park.You guys really got those kites flying high!